Jacques Joseph (James Tissot), he second of four sons born to Marcel Théodore Tissot (1807–1888) and his wife, Marie Durand (1802–1861), was born in Nantes on 15th October 1836. His father was a successful linen merchant an owned a country house, the Château de Buillon, near Besançon. Tissot's parents were both devout Roman Catholics and when he was twelve he was sent to the leading European Jesuit college in Brugelette, Belgium. According to his biographer, Krystyna Matyjaszkiewicz: "Pupils at Brugelette included Catholics from England, and it may have been through friendships at Brugelette that Tissot became interested in all things English and began to style himself James, the name he was using by 1854. When new laws enabled the Jesuits in 1850 to open a college at Vannes in Brittany Tissot returned to France and attended school there, subsequently moving to another in Dôle (near Besançon), a bastion of Catholicism. He considered becoming an architect, spending time sketching in Nantes, but also began copying paintings." This included a strong interest in the work of Jean Auguste Dominique Ingres. In 1855 Tissot moved to Paris where he studied under Élie Delaunay, Louis Lamothe and Hippolyte Flandrin. Lamothe, who had been a pupil of Ingres, introduced him to Edgar Degas. The two men became close friends. Another friendship formed at this time was with James McNeill Whistler. Two portraits, including one of Tissot's mother, were among the artist's first exhibits at the Paris Salon in 1859. His sales that year included Dance of Death. The following year, he sold The Meeting of Faust and Marguerite to the French state for 5000 francs. In the 1864 Paris Salon, Tissot exhibited Two Sister and Portrait of Mlle L. L.. The author of James Tissot (1985) has argued: "Both are masterpieces of paint handling and subtle colour balance, the life-size Two Sisters in tones of white and subtle green-greys, Mlle L. L. with strong blacks complemented by reds and pinks. The latter work incorporates mirror, accessories, and fabrics that echo and rival the work of Ingres." Despite the fame achieved by painting wealthy patrons, Tissot was also interested in everyday life. Along with Gustave Courbet, Honoré Daumier and Jean-François Millet became involved in portraying people in modern dress. Art critics criticised what they considered to be "politically charged work". In 1868 Tissot painted a series of modern Parisian women going about their daily lives in the city and suburbs. In 1869 Tissot was commissioned by Thomas Gibson Bowles to make caricatures for his new satirical magazine, Vanity Fair. 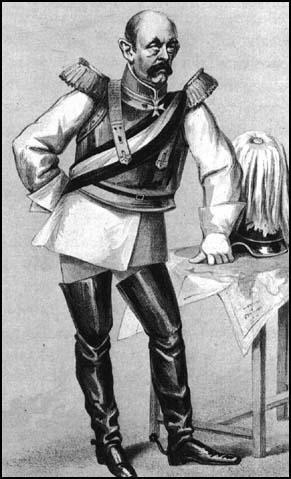 The first of these depicted Emperor Napoleon III. Tissot was a member of the national guard during the Franco-Prussian War and defended the Paris Commune in 1871. During bombardment in April and May, Tissot worked as a stretcher-bearer. He was appalled to see the brutality of the French troops when they suppressed the revolt in May. This included making sketches of what he witnessed, including a mass execution of 200 communards. Tissot escaped to London and went to live at 88 St James's Street. He soon received several commissions to paint portraits of leading figures in England. He also produced a weekly cartoon for Vanity Fair. Along with Carlo Pellegini (Ape), Tissot helped to create the unique style of the magazine. By December 1871, Tissot had earned enough money to move into a house, at 73 Springfield Road, St John's Wood. 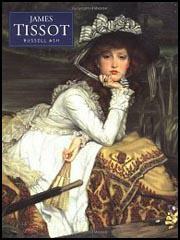 Tissot's earnings for 1872 were 94,515 francs, nearly two and a half times his best year in Paris. This success upset some British artists who criticised the taste for "Continental pictures". However, unlike another popular French-born artist of this period, Alphonse Legros, Tissot resisted pressure to become naturalized as British. After 1885 Tissot devoted himself to religious subjects. His biographer, Krystyna Matyjaszkiewicz, has pointed out: "Tissot set off for Palestine on 15 October 1886, his fiftieth birthday. He returned to Paris in March 1887 with sketchbooks full of drawings and a burning compulsion to illustrate the life of Christ. The idea developed into publishing images of events, places, people, and incidental detail, with extracts from the Gospels and biblical commentaries. Tissot made further visits to Jerusalem in 1888 and 1889. By April 1894 he had completed 270 watercolours, which were displayed at the Champ de Mars, Paris, to awe and amazement." 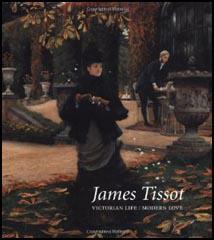 James Tissot died on 8th August 1902.